Porta Potty Rental | Septic Pumping | Texas Waste Co. Looking for a competitive bid? 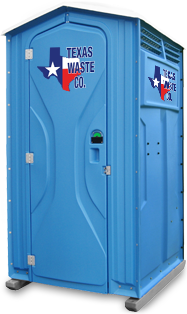 Texas Waste Co. is your locally owned and operated porta potty and dumpster rental company that provides standard and handicapped accessible portable toilets and hand washing stations to construction sites, private businesses, small parties, and large events throughout Pearland, Friendswood, Alvin, Webster, League City, Dickinson, Texas City, Angleton, Lake Jackson, Freeport, Rosharon, Manvel, Galveston, West Columbia and Rosenberg. Customer satisfaction and exceeding your expectations is our #1 priority! We have an experienced staff in the office and out in the field to serve you promptly with the utmost respect and courtesy. Why Choose Texas Waste Co.? There are many portable toilet and dumpster rental companies you can hire, but you cannot depend on all of them. Texas Waste Co. is a local company that values its reputation in the community and takes pride in work. As a local company, we are familiar with your account, location, preferences and needs. We are not interested in just providing you one portable restroom, or dumpster. Rather, we want a long term relationship of trust, service, and community. By investing in the latest and greatest on-board service technology we are equipped and prepared to ensure that we exceed your expectations. "Texas Waste Co. has done a great job providing quality and flexible service for our clients. Houston Sports Park hosts numerous small and large scale events requiring specific placements for units and Texas Waste Co. is very easy to work with. They are professional and care about accommodating our operations. We look forward to working with them as we grow and expand!"